﻿ Publications | Institute for Peace and Leadership, Inc.
Generation X: The Role of Culture on the Leadership Styles of Women in Leadership Positions' goal is to assist organizational leaders to view Generation X women in positions of power from a different perspective. Women leaders are capable of leading a 21st century organization because of their scope of knowledge about growing businesses, and their ability to blend and incorporate new technologies and innovations in the business environment. 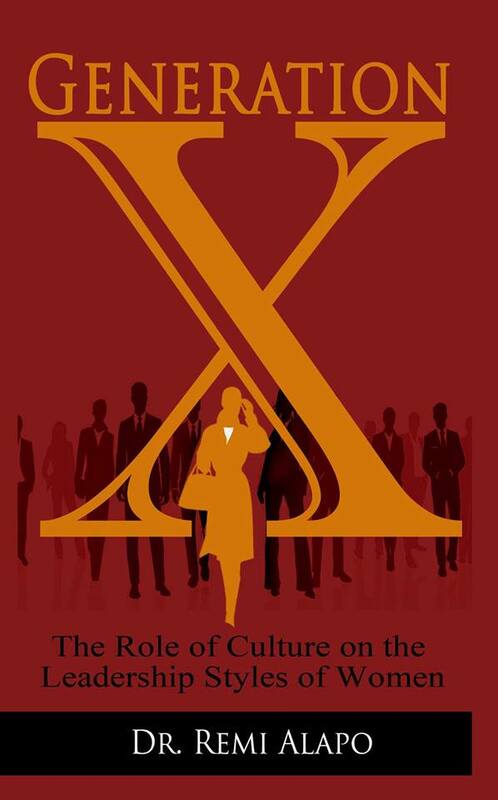 Generation X: The Role of Culture on the Leadership Styles of Women in Leadership Positions is relevant to the fields of business, cultural, human relations, leadership, management, and cross-cultural leadership and women studies. The cultural values of women in many societies are grounded in the shared experiences of symbols and norms, which are manifested in beliefs and practices. These play obviously a significant role in the leadership styles and expressions of Generation X women who are in leadership positions. This book will also assist Generation X women in positions of power in building highly effective and functioning teams in adapting to global business and environmental trends. NEW PUBLICATION LAUNCHED edited by Dr. Remi Alapo on March 8, 2017. I Am A Leader: Understanding My Leadership Styles. 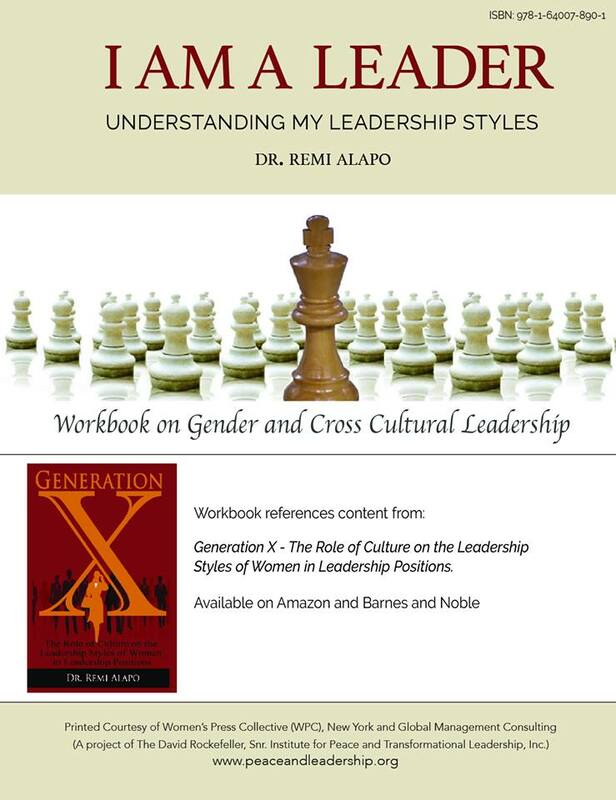 This workbook has been published based on research content from Generation X: The Role of Culture on the Leadership Styles of Women in Leadership Positions (2016), and research on Gender and Leadership. The goal is to assist those in leadership positions understand their leadership styles as applicable in different organizational and societal environments. The workbook can be customized based on the needs of each individual, group or organization. This workbook is applicable to everyone in leadership positions and gender in any cross-cultural environment.